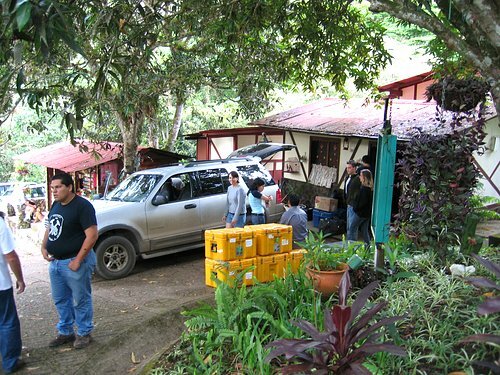 After about two weeks in La Victoria we packed up all of the equipment and moved about 450 kilometers to the east. By the time we made it through past the coastal areas, through a police checkpoint, and up a windy narrow road it was dark when we arrived at our next instrument center. 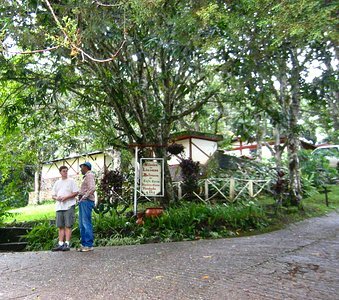 The area around the town of Caripe, Monagas is becoming more popular by the minute as a place to get away from the heat in the lower elevations of Venezuela. 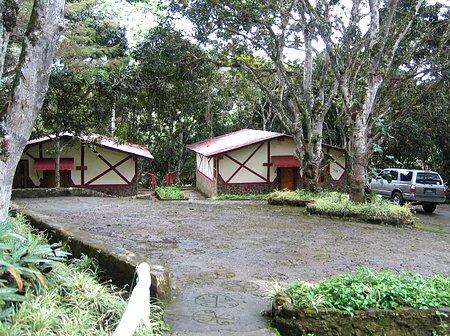 The area has quite a few "cabañas". These are a group of cabins or cottages that can be rented like motel rooms and are good for groups. 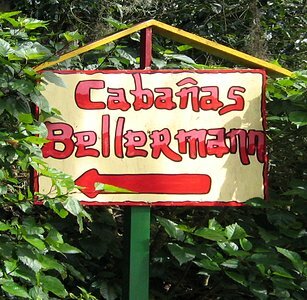 Since there was about 30 of us we took over the Cabañas Bellermann which had five or six cabañas in the town of San Agustin. San Agustín had an interesting little chapel that we kept driving past, instead of stopping to look at. The Chapel of San Agustin was covered in ivy, and is, understandably, the center of attention during the town's fiesta in August. I didn't even take any pictures of it for cripe's sake. Next time. The santo patrono, San Agustín, is who the town was named after. ...and the front office became, well, our front office. I think it was the off-season for making the liqueurs, so we didn't upset business too much. Of course, once we left they probably had to fire up the factory again to replenish their inventory. Counting the geophones so that each deployment group got the required amount. There were 800 individual instruments or stations for this experiment. That's quite a few. They were laid out in lines about 200-300 kilometers in length. In general, they were all recording at the same time. That meant that the signal, shockwave, or "event" generated by the Ewing out in the Caribbean Sea would be recorded by all of the instruments. The act of picking out that one event from each instrument out of all of the data that each instrument recorded (several days worth of up to 64 megabytes each) is referred to as making a gather. You gather up all of the data from that one event and stick it into one file. It is all done by knowing what time the "gun" on the ship went off (one of the many pieces of information supplied by the collaborators on the ship). When the gather is made by the computer program the position of each instrument must be known (this is written down and/or saved in a handheld GPS by the deployers) so that the signal from each instrument will be in the proper order. The data from the instrument closest to the ship should be first, and the data from the instrument farthest away should be last. This way the "bump" traveling through the ground produced by the event can viewed as it travels down the line of instruments as arriving at the first station first, and at the last station many seconds later. That's the theory anyway. The shipp was "shooting" about every 20 seconds for about 8 hours per day. That required a lot of gathers to be made. 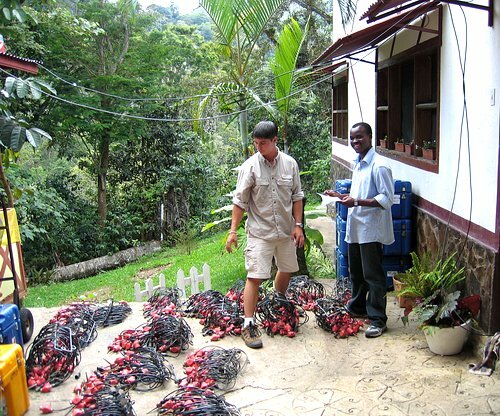 Below is Alan and a couple of students pouring over some of the gathers that were produced from data collected on the previous two deployment lines, while the computers on the right continued to crunch as fast as they could. 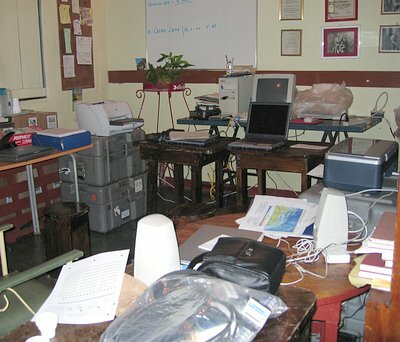 While San Agustin was a great place to vacation, er, work, it was slightly less than ideal for running a room full of electronic equipment. (Served us right.) The electric power was usually 120 volts, but it started to fall off around late afternoon when everyone started turning on lights and televisions. 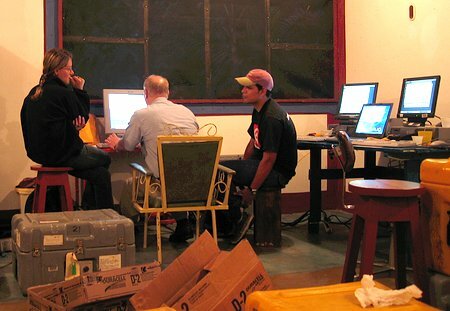 We had all of our computers on uninterruptible power supplies, and they were able to boost the voltage back up to 120 volts and keep things running, but only to a certain point. Once the voltage got down to around 90 volts they would switch to battery power. At that point it was time to shut everything down until about midnight. 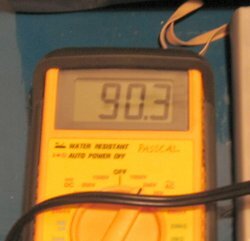 Once people started going to bed the voltage would come back up enough to where everything could be restarted. I guess this is what a rain forest looks like. There were only a couple of days when it rained pretty hard. 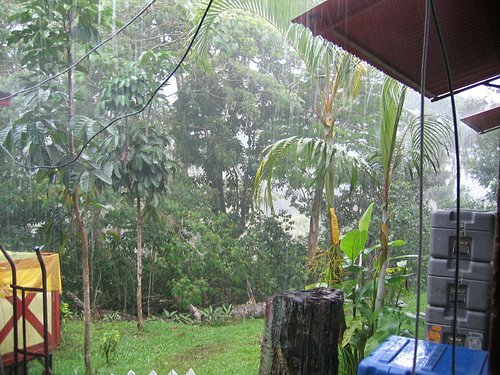 It would rain for a couple of hours then clear up for a couple of hours. Of course, if it was a deploy or pickup day for the equipment any rain made it a mess for the folks out doing the real work. Just one of the houses, complete with full garden, that was near the restaurant. 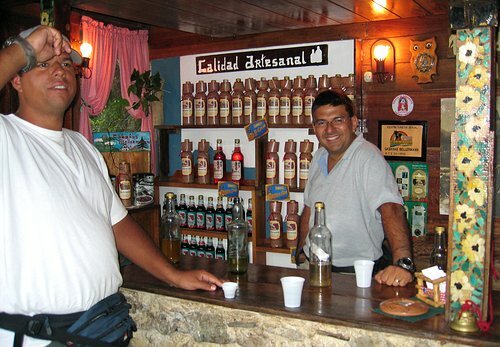 Luis Melo of PDVSA in charge of the liquor?? That's kind of like letting the fox guard the hen house, isn't it? Below is packing up and heading out day. 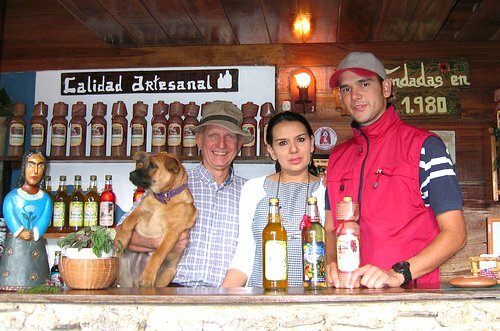 We were in San Agustin for about nine days. During this time the instruments were deployed near San Agustin, picked up, downloaded, reprogrammed, and redeployed along a line about 100 kilometers to the west. This second deployment was along the same line south of Barcelona where the Texans were deployed during the July 2001 experiment. After this it was back to Caracas. The hard part of the experiment was over. 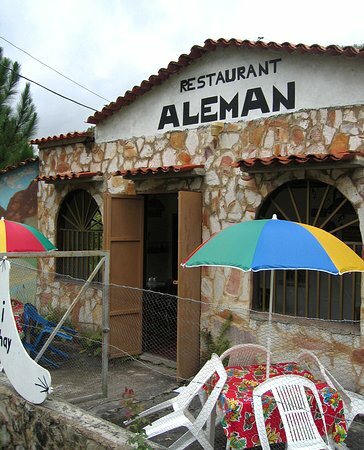 Team Bellermann. Very nice people.